Congratulations to the 2019 winners for each Track: Health Sciences, Social Enterprise, Small & Medium Enterprise, & Innovation Driven Enterprise. Meet the most promising McGill startups from the McGill Dobson Cup & the McGill X-1 Accelerator with McGill Demo Days. We act with integrity in accordance with the highest ethical, professional and academic standards. 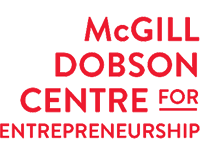 Neither the McGill Dobson Centre nor staff members take a share of, nor an investment in, the ideas of startups being nurtured and guided. We educate and facilitate entrepreneurship in an unbiased manner. We foster the collaboration of diverse backgrounds and multiple perspectives bringing richness to entrepreneurship that is a reflection of the McGill University community and the society we serve. We are focused on enriching, engaging, and empowering students, professors, and the McGill community through entrepreneurship learning and development. We work for the betterment of the McGill student body, professors, alumni and colleagues, the communities we serve, and the world. We strive to provide outstanding mentorship and entrepreneurship courses, professoriate, extracurricular activities, competitions, events, advisors and mentorship. We aspire to have McGill recognized as an entrepreneurial university that will lead Canada’s innovation agenda.